This is a classic David and Goliath situation. Under Armour can blame its slowing sales growth, declining margins, high valuations, and fierce competition from bigger rivals like Nike. That said, UA still trades at 34 times earnings, compared to the industry average of 27 for apparel makers. 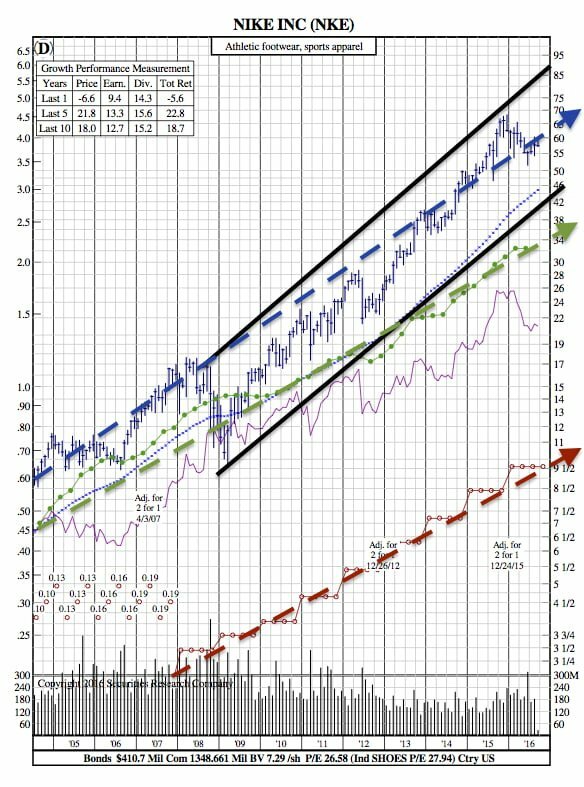 Nike has a lower P/E of 27 and has an attractive dividend yield of 1.1%. 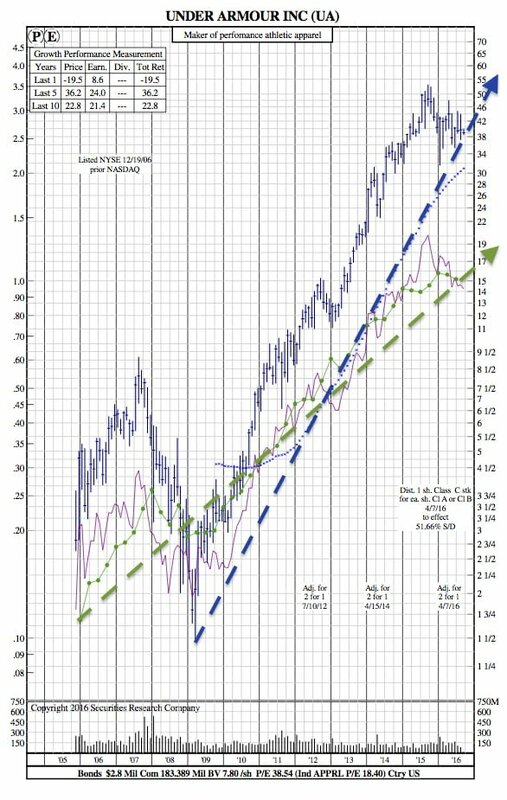 When looking at the 12-Year Charts of both Nike and Under Armour, both have similar earnings growth rates. Nike’s earnings are about twice that of Under Armours, though, about 2 vs 1 (scaled to the left). Under Armours price obviously has a higher trajectory rate; which may lead to concern when looking at their earnings slow down. 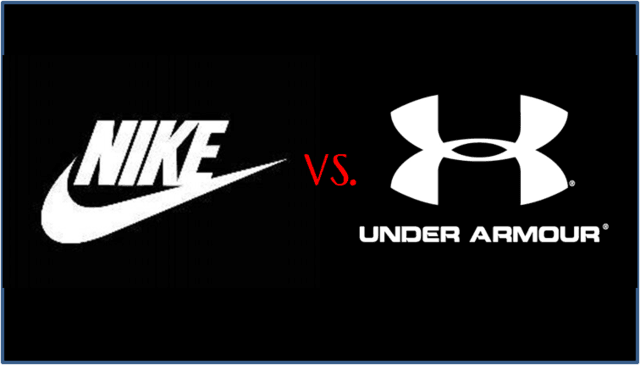 Then there’s Nike – offering a dividend is quite attractive when comparing the two stocks. Also, when we compare both P/E ratios, Nike shows its strength in a situation that both companies have been exposed to.